SIPTU say decision to take industrial action was "a last resort"
The Iarnród Éireann Trade Union Group have announced five days of industrial action as a dispute with management over pay escalates. All days will feature a 24-hour work stoppage, full withdrawal of labour and the placing of pickets. November 14 is the date of Ireland's huge World Cup play-off clash with Denmark in Dublin. In a statement accompanying the announcement they said: “Following a meeting this afternoon, the trade union group representing all workers at Irish Rail, in pursuance of a long overdue flat pay award, have decided to serve notice on the company for the following series of industrial actions." Iarnród Éireann also issued a statement where they said that management "regrets the decision by a group of unions including SIPTU, NBRU, TSSA and Unite, to schedule five 24-hour strikes during November and December. "The company has reiterated that the talks at the WRC arose from a Labour Court recommendation, which stated that if at the end of the WRC process there were outstanding issues of difference, they should be referred back to the Labour Court for a final recommendation." Talks between management and unions at the Workplace Relations Commission broke down late on Thursday night. Irish Rail said it offered 1.75pc increase for one year, to be facilitated by measures including performance management, absenteeism management, revisions to redeployment policy and payroll and committed to further discussion. 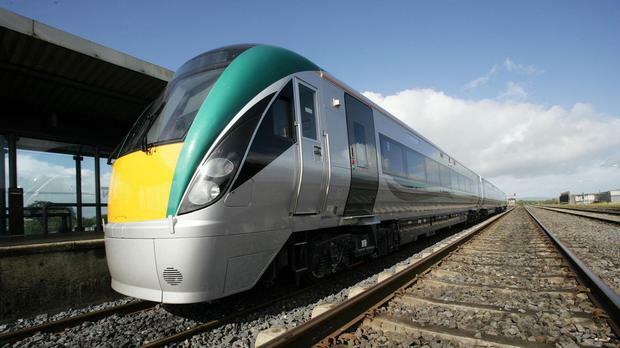 However, SIPTU members in Irish Rail voted overwhelmingly in favour of industrial action. SIPTU members voted by 84oc in favour of industrial action in a ballot that was counted today in Liberty Hall. SIPTU TEAC Division Organiser, Greg Ennis, said: “SIPTU representatives met with officials of the four other trade unions in the Irish Rail Group of Unions this afternoon. NBRU members voted by a margin of 93pc t in favour.